David Kotz is the Champion International Professor, in the Department of Computer Science, and Associate Dean of the Faculty for the Sciences, at Dartmouth College. During the 2008-09 academic year he was a Fulbright Research Scholar at the Indian Institute of Science, in Bangalore India. At Dartmouth, he was the Executive Director of the Institute for Security Technology Studies from 2004-07. His research interests include security and privacy, pervasive computing for healthcare, and wireless networks. He has published over 100 refereed journal and conference papers. He is an IEEE Fellow, a Senior Member of the ACM, a member of the USENIX Association, and an elected member of Phi Beta Kappa. After receiving his A.B. 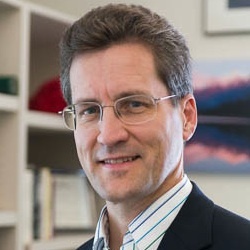 in Computer Science and Physics from Dartmouth in 1986, he completed his Ph.D in Computer Science from Duke University in 1991 and returned to Dartmouth to join the faculty.